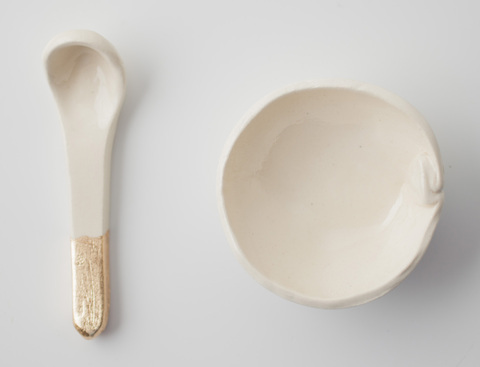 Add a dash of chicness - and seasoning - to your cooking routine with the spoon and well set. Fill the well and use the spoon to sprinkle just the right amount of salt—or whatever seasoning you please. A charmingly modern piece for the dinner table or kitchen counter.